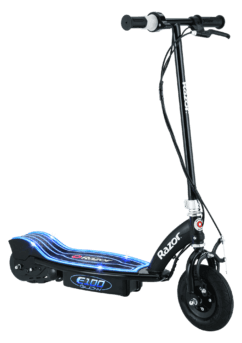 Go green with this awesome Razor EcoSmart Metro Electric Scooter. Its 16″ pneumatic tube tires on spoke wheels let the rider experience unparalleled comfort and undeniable convenience. 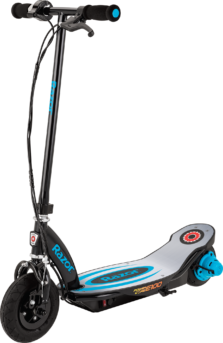 This Razor EcoSmart Metro Electric Scooter includes a standard replaceable bicycle seat that you can adjust to a desired height for a personalized fit. 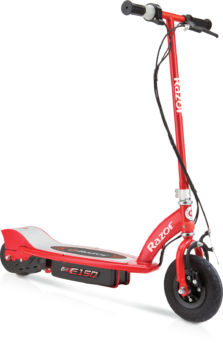 This electric scooter has a top speed of 18 mph and can hold a charge for up to 40 minutes. It’s ideal for short trips and quick commutes. This 36v electric scooter requires no gasoline, making it an eco-friendly choice of bikes. It also has a bamboo deck. The frame features a powder-coated finish, which keeps it as new as you first got it. Plus, the hip decals are pretty sweet. Always check local laws regarding use of electric-powered products.